How to save a datatable as a script. It's easy but when I Google it the top results aren't the answer. So I'm going to answer my own question. This is also useful for learning JSL. 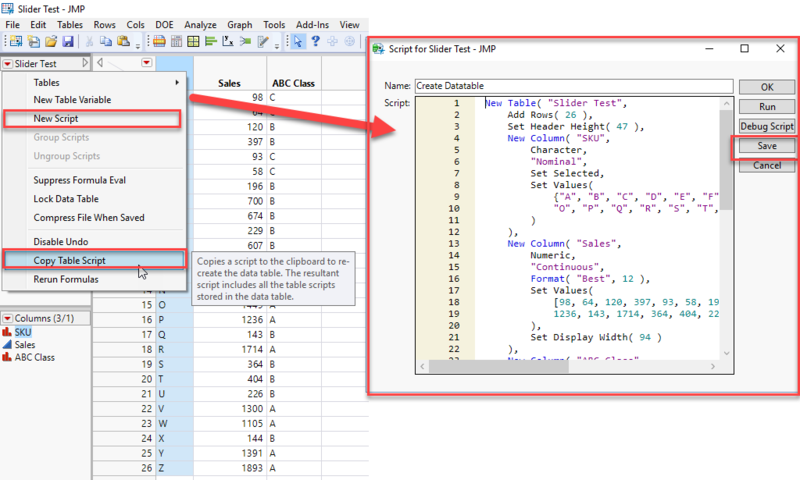 You can create and format columns, also formulas, and see the JSL for it. 4. Give the script a title, paste the script, save. May Google find your answer worthy!